I am the writer, the dancer, the poetess, the engineer, the fighter pilot. The hostess, the employer, the employee, the unpaid maid in the home. I am the 12-year-old child-woman that goes to work in the houses of the wealthy. They have baby daughters, but to them I am just a machine to cook and wash and clean. I am the woman in the slum, the one you see, but don’t see, every day. I am ‘these people’ to those whose accident of birth prevented them from living my life. I am the girl that ran away from home to get married, and when things went wrong I had nowhere to turn to. Even renting a house, as a single woman, is fraught with terror, it seems. I am a divorcee, and it is my only claim to fame, says the rich lady from Bombay. She forgets the jobs I have done, the books I have written and the friendship I have shown her. She thinks her tawdry affair is not a reflection of her married state. I am the girl born in the slum. I am sick from dirty water all the time and I can only go to a toilet when the sun is still in the sky. I am her fearful mother who cannot let her out of sight for who knows what may happen to her. I am the other woman, and I am forever in shame, for I sinned against all that is considered virtuous. The man escapes unscathed, and his wife blames me and not him. I am the widow and I may not walk in sunlight for fear my unlucky shadow may fall on another soul bringing him or her misfortune. I am the actress of stunning beauty and talent and my path to success is via the casting couch. 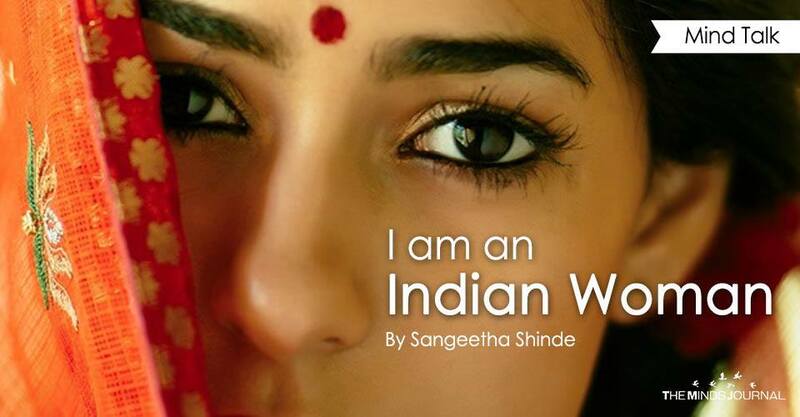 I am the struggling writer and I want to tell the story of India’s unsung women. “Your stories don’t have happy endings,” says the publisher. In the bitter ether of the online world, I send back a fervent message, “There are many in India who don’t get happy endings. Let’s give them one by telling their story.” Silence is my only answer. I am the small-town rebel. I am the big-city conqueror. I am the woman that tries to find her way through the crushing onslaught of misogyny, patriarchy and injustice that block my every step wherever I go. I am the woman on the bus and the train that your brother groped. I am the young girl your father leered at while speaking from the pulpit at church. I am the one your husband called out vile names to on his way back from offering flowers to the Goddess at the temple. I am Nirbhaya. I am Sridevi, I am Malaika who spoke out loud against hypocrisy. I am the Rani of Jhansi. I am the women that Raja Ravi Varma painted. I am Arundhati Roy and I am the bai in your home. I am the ten million girls that have disappeared in the last ten years. Sangeetha is the Managing Editor of The Business Innovator, an international business magazine, based out of Brussels, Belgium. She has a Master?s in Business Administration, a BA in English Literature and a thirst to tell the stories of women. She is the author of the books 'A moral murder and other tales from the Blue Hills&amp;quot; and &amp;quot;Amman: Story&amp;quot;.